· 1200 Nipper collectibles with value guide. 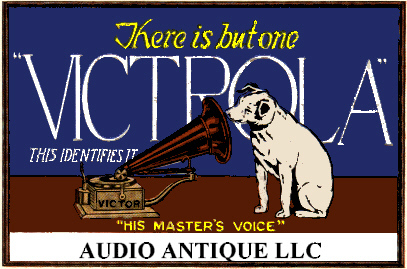 · History of the famous Nipper & Gramophone trademark. · Evolution of various HMV trademarks. · Photographs in full color. · Nipper collectibles from around the world. · Information on valuable vintage Nipper collectibles. · Advice on modern reproductions & fantasy Nipper collectibles. · Over 650 Nipper collectibles NOT found in Volume I. · History of the famous Nipper & Gramophone logo. · All new photographs in full color. · Valuable information on reproduction & fantasy Nipper items. · A new chapter featuring Nipper look-alikes and charlatans. Regretfully, we do not ship outside the U.S. Cost restraints and delivery concerns limit shipping to the U.S.A. only. However, our foreign and overseas friends may purchase these items through Amazon. "Do they ever rest? Does their desire to unearth everything there is about Nipper know no bounds? Would you believe that in the past four years they’ve uncovered some twenty-dozen more examples of Nipperie?" LIMITED EDITION (Only 350 Printed) HARD COVER book containing over 270 pages of Nipper Collectibles featuring over 650 Nipper collectibles described and pictured in full color (with value guide) not previously described and illustrated in our two previous books!